Tig Pullover Sweater Just $27.48! Down From $55! PLUS FREE Shipping! You are here: Home / Great Deals / Tig Pullover Sweater Just $27.48! Down From $55! PLUS FREE Shipping! TODAY ONLY! 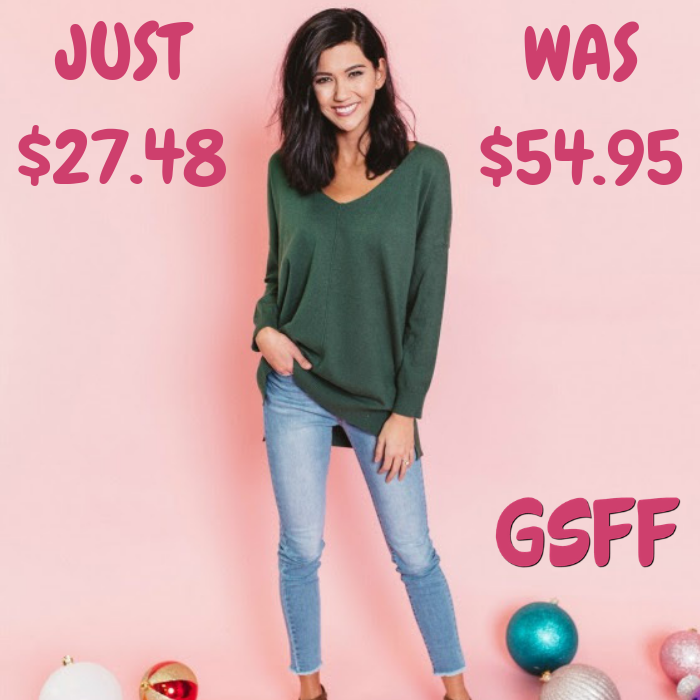 Hurry over to Cents Of Style where you can get this Tig V-Nekteck Pullover Sweater for just $27.48 down from $54.95 PLUS FREE shipping! They all know about sweaters you not only want, but you need! That is exactly why you’re gonna love Tig! This v-neck pullover sweater is very oversized for comfort and flattery. It is buttery soft (even more as you wash it) and long enough to wear with your leggings, skinny jeans, and partially tucked into your pencil skirt. You will love the generous comfort of Tig! It makes a great gift too!